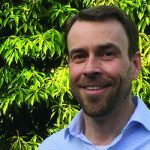 Matt comes to the Cascade Forest Conservancy with twenty years of experience leading conservation programs and coalitions in Congress, with federal agencies, and at nonprofit organizations. Growing up exploring the lakes and woods of Minnesota, Matt decided early on that he would spend his career working on conservation. After graduating from Dartmouth and the Maxwell School of Public Affairs, he took a position at EPA’s Wetlands Division, leading their international programs and working in Switzerland at the Ramsar Convention on Wetlands. Later Matt served as senior advisor to Senator Daniel Patrick Moynihan of New York, senior member of the Environment and Public Works Committee. Matt took this experience to the nonprofit world where he has led successful conservation campaigns at National Wildlife Federation, Sierra Club, Northeast-Midwest Institute, and Oregon Natural Desert Association. He taught youth at the Multnomah Outdoor School and was a park ranger and fire crew member at Crater Lake National Park. Matt loves the Pacific Northwest and gets out fishing, hunting, hiking, and camping with his wife and two little girls whenever he possibly can.